Say "I Do" on the Farm! 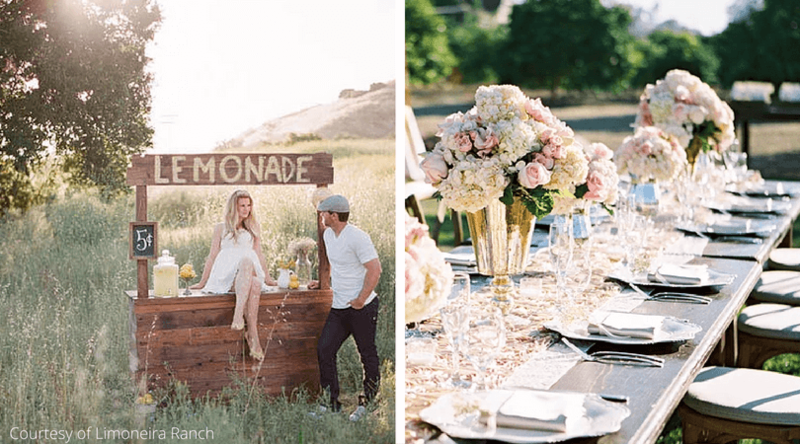 Seven Gorgeous Farm Wedding Spots! What better way to tie-the-knot that in the inspirational landscape of a gorgeous farm, rolling countryside amidst beautiful surroundings. These seven award-winning venues are sure to inspire and excite you for the special day. Or for your 'future' special day! We hear wedding bells! 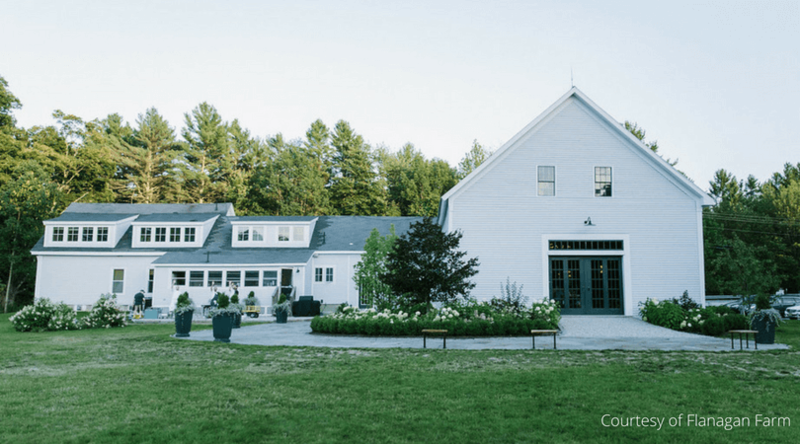 The Barn at Flanagan Farm, located twenty minutes south of Portland in Buxton, Maine, is the perfect venue for a wedding with a rustic and yet sophisticated theme. 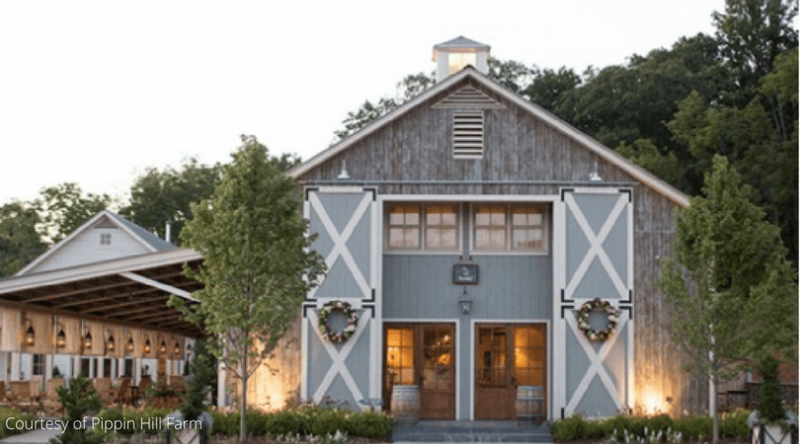 This beautiful barn was built in the late 19th century, restored in 2012, and has now been recognized as one of “The Best Venues in America” by Brides Magazine. There are three breath-taking chandeliers in this barn that radiate a warm elegance throughout the whole exceptional event space. There are also gracious accommodations on the property. We know this location would make any size event a truly memorable experience. Located right on the property, is a Farmhouse with a Bridal suite and a Groom’s cottage. There are two on-site catering companies available for you to choose from. Both catering companies offer many different types of cuisine, and are available for catering during your entire stay on the farm: rehearsal dinner, private chef, Sunday Brunch, bridesmaid or groomsmen luncheon, etc. This premier wedding venue is located at the foothills of the Blue Ridge Mountains and was named among the "Best Wedding Venues in America 2017" by Brides Magazine. 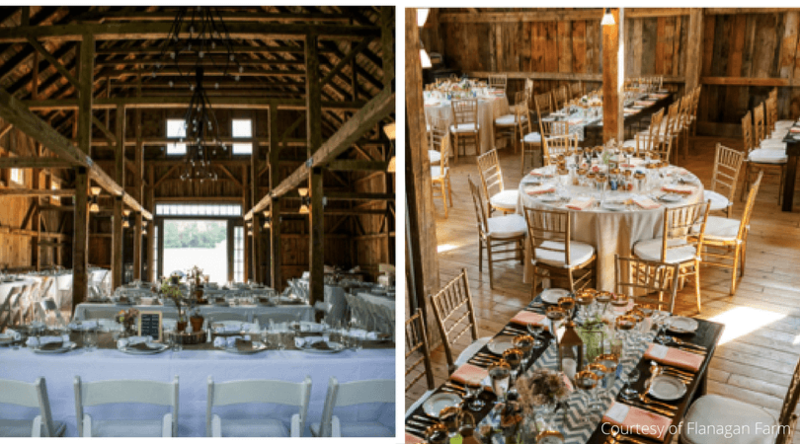 With just the perfect mix of Southern elegance and rustic charm, this farm is a very special place to host an intimate wedding. Why is it so special? There is a stunning panoramic mountain view that captures the natural beauty of this gorgeous part of the country, all of which surrounds this romantic venue. 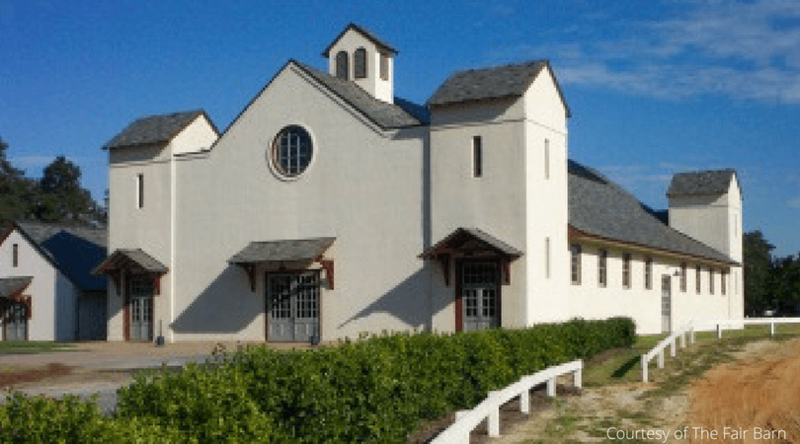 Pippin Hill Farm offers a custom-built winery wedding venue that is located just outside of Charlottesville, Virginia. Pippin Hill has four distinctive event spaces that are exclusively yours on your wedding day, so you feel like the whole farm is just for you on your special day. This is the perfect unique location to experience a Blue Ridge type of wedding! Personalizes & provides a range of services for your wedding from decor, food, and more. There is a Bridal Loft and a Groom Suite with room service! Provides an Artisan Catering team that uses the freshest local ingredients that are reflected in each dish. Each meal accentuates the true flavors of local and seasonally harvested vegetables, fruits, meats, seafood, and cheeses. Nestled in Ventura County’s Heritage Valley, Limoneira Ranch is the perfect combination of rustic charms, California beauty, and fresh cuisine. 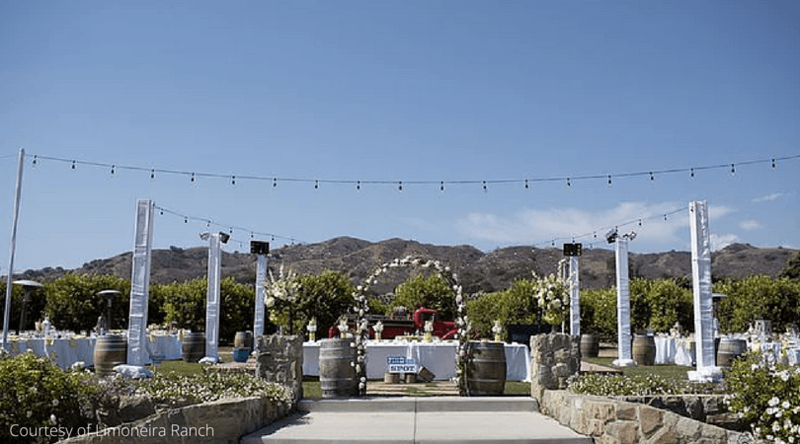 The location of their unique wedding venue location is right in the middle of their operating agricultural ranches, where you are surrounded by citrus groves and all of the beauty of California. Book your favorite band, string the lights and set the stage for the wedding your heart has always desired. Your guests will never forget dancing under the stars at your wedding celebration, amidst the lemon trees and groves. Gorgeous! Limoneira Ranch offer various wedding packages for you to choose from. 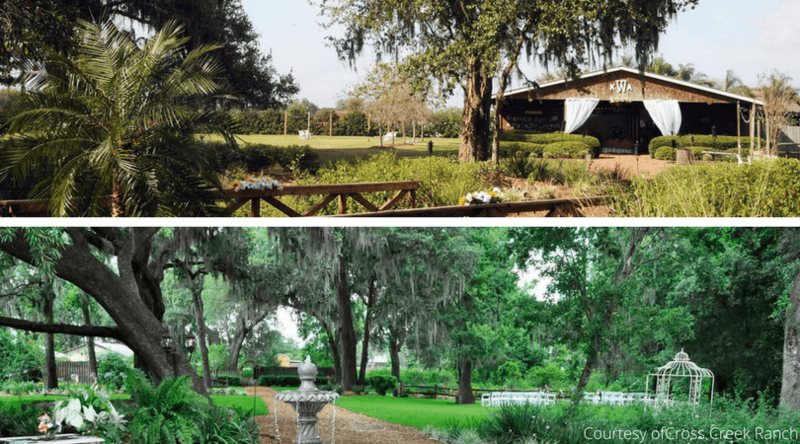 Limoneira’s lush grounds offer several appealing ceremony locations. Founded in 1893, the 7,300-acre spread remains the county’s largest producer of oranges, avocados, and lemons, of course! Limoneira’s event team creates a festive setting with an open-sided tent, lights, floral displays, tables, lounge seating, and, food stations. The floor-to-ceiling river-rock fireplace makes a stunning backdrop for winter ceremonies. The Ranch offers many different menu options all prepared by their master chef, who will work with you to develop a complete meal from start to finish closely incorporating your theme: "If you can dream it, we can create it." The rustic, elegant country atmosphere of Pecan Springs frames your wedding and reception. Pecan Springs offers two breathtaking wedding venues, Stonecreek Hall and Tuscany Hall, to host your indoor ceremony and reception. This setting highlights the natural beauty of Texas while giving you a luxurious and refined venue to host every aspect of your wedding day. 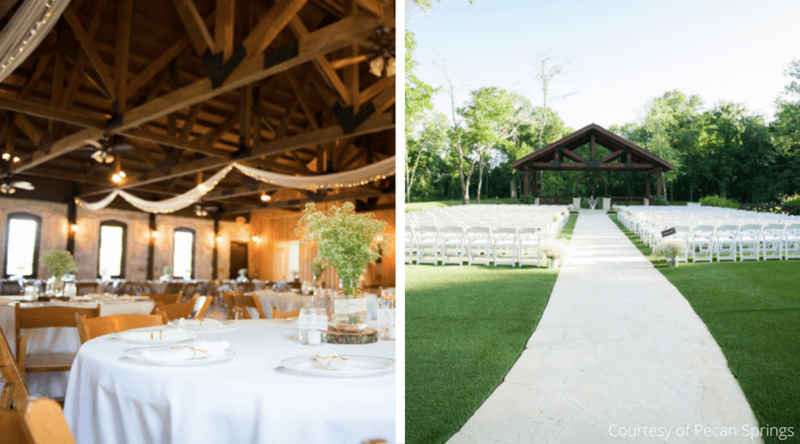 It is casual, yet elegant, and Pecan Springs is the perfect outdoor wedding venue for couples in search of a unique location in the heart of Texas. Magnificent backdrop nestled up against a large water feature with fountains and a 40 foot long, uniquely designed wooden bridge. Rustic and spacious Bride and Groom suites. Climate-controlled, 9,000 square foot open reception hall. Expansive hall and sprawling grounds with distinctive architectural features, water features, bridges, gazebos and more to give your party memorable elegance. Alcohol: you may bring any product of your choice. Any vendors are welcome or you can do it yourself! Prep Kitchen with separate service entry. 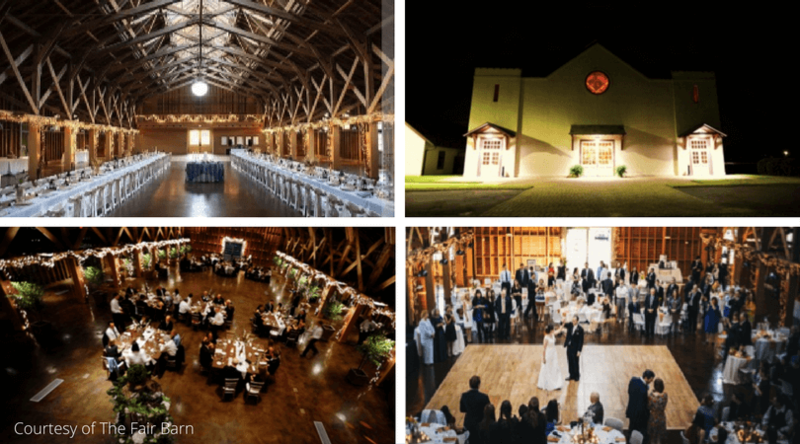 The Fair Barn is a unique event facility located in the beautiful Village of Pinehurst. It is the oldest surviving early twentieth-century fair exhibition hall in North Carolina. Since the completion of its restoration in 2002, The Fair Barn has become a popular venue. The ceiling soars 2 1/2 stories high, with large skylights that allow natural light to permeate the room. The Fair Barn accommodates up to 500 with banquet style seating, 600 row seating, and even 800 standing-room only! The barn is equipped with a state-of-the art kitchen and beautifully tiled restrooms. Two dressing rooms featuring full length mirrors and lighted vanities. You are welcome to choose your preferred catering team or create a homemade meal. From an intimate ceremony to an elegant reception, each complete wedding package is designed especially for the individual bride. 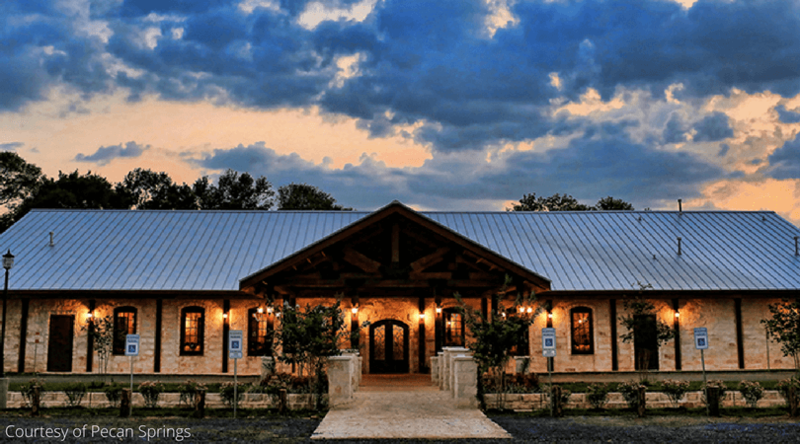 Cross Creek Ranch offers two unique venues to choose from. 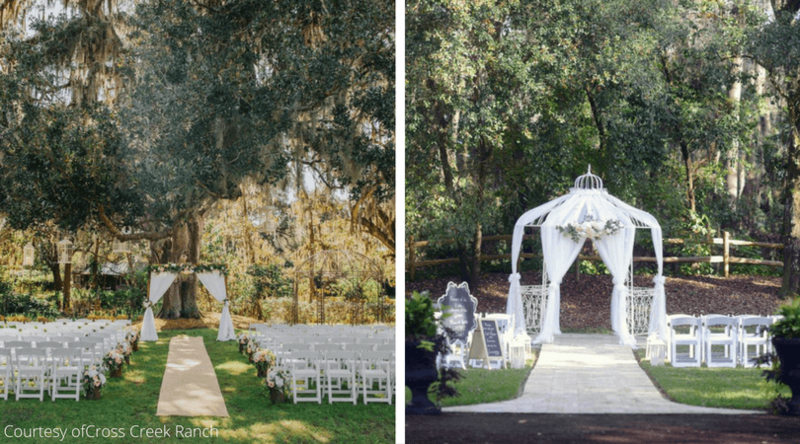 Against a backdrop of majestic oaks and ethereal Spanish Moss, the ambience of the Carriage House Stable venue blends timeless romance with just the right amount of chic for parties of up to 150 guests. The French Country Side venue has a lush natural setting of their beautiful butterfly garden and gorgeous wedding gazebo. For the party itself, there is a reception space that will reflect the bride's individual style and theme. Offers two venues: French Country Inn (Classic Charm) or Carriage House Stable (Rustic Elegance). Has over 20 years of award-winning experience in design and decor. All inclusive outdoor wedding ceremony and reception venues; classic, rustic, vintage, elegant. Vendor Coordinator will arrange tastings, meetings with vendors, and coordinate with vendors for yourk special day. Bar service with bartender, beverage dispensers, kegerator with two taps, Coke products, ice and cups. 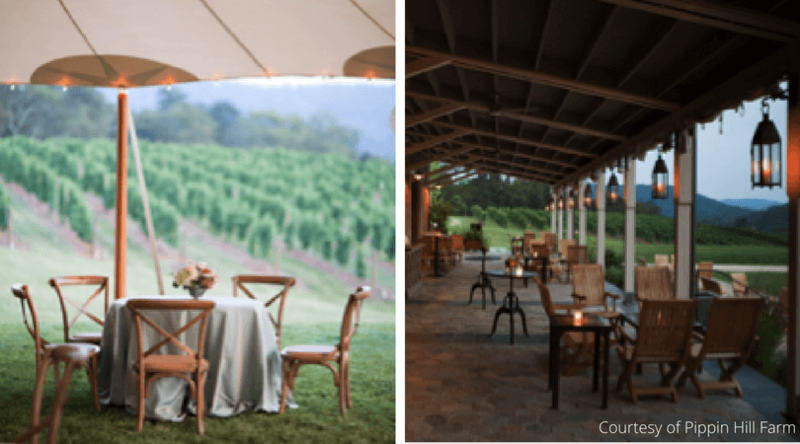 What could be more romantic than getting married at a vineyard? Villa Bellezza offers several stunning spaces for ceremonies and receptions. This beautiful venue was voted one of the “Best Wedding Venues in the U.S” by Bride’s Magazine in 2015! 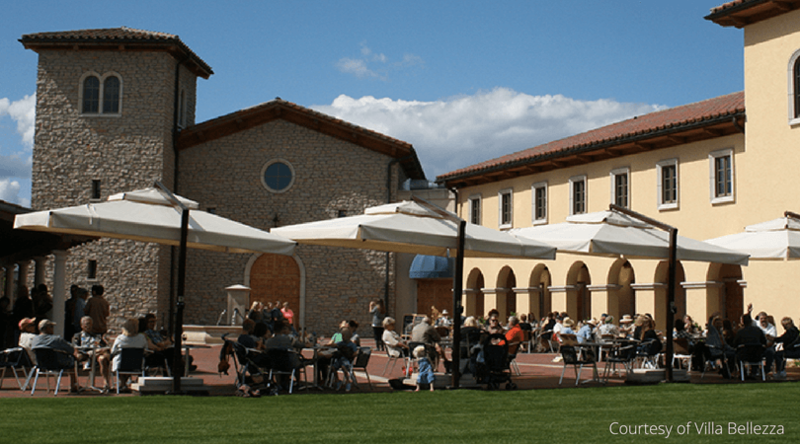 You can get married in their beautiful, private courtyard or in their vineyard. Villa Bellezza welcomes both large and small weddings events, so they definitely will have your party covered! Reception Hall, with private courtyard, for an optional wine reception to precede dinner, and/ or a dance to follow dinner. Great Hall – a large banquet hall, a perfect place for cocktails or additional dinner seating. The Apartment – a perfect spot for the bride and bridesmaids, with a beautiful view of the vineyard. Private use of the event space for your selected timeframe. Full Catering Kitchen – They have a large state of the art kitchen provides on site preparation of fresh, delicious food by your choice of one of their selected caterers. If you're getting married sometime soon on a farm, please post your pics on our Facebook page! At the very least, we'd love to tell you, "CONGRATULATIONS!"